The 1975 referendum did not solve the problem of Britain’s relationship with the then European Community. Whether the forthcoming referendum will do any better is in doubt. The British find the European Union a difficult place to be. James Ellison considers how the origins of the European Union presented the British with a challenge they found hard to handle. The starting point of the story of Britain and the EEC at its inception in the 1950s is that at first the British government did not want to see it succeed. That was because the success of the EEC – unexpected to the British – presented unpalatable and difficult choices about Britain’s post-war development to governments unready to confront them and to a parliament and people unprepared to face them. When the Six western European powers – Belgium, France, Italy, Luxembourg, the Netherlands and West Germany – who would form the EEC met in Messina, Sicily, in June 1955 to re-launch Europe, the British government was little interested. While the founding stone of the Six – the European Coal and Steel Community – was functioning well, the other experiment in integration – plans for a European army – had failed the year before. The Conservative government of Anthony Eden was at this stage largely disinterested in, and aloof from, the Six’s ambitions and tried at first to dampen them by attempting to divert them into the intergovernmental trade body, the Organisation for European Economic Co-operation. When that diversion failed as the Six remained committed to their plans for a European common market, the British government elaborated another attempt to control them: a counter-initiative. This plan – announced as the Free Trade Area in 1956 – was presented as a positive attempt to achieve wider European unity around the core of the Six’s common market. Here, fundamental differences in outlook between the British and their European allies on the form and ambition of their alternate plans reveal much. While the Six’s prospective community would be federal, would cover all sectors of the member states’ economies, and have a common external tariff on imports from outside, the British proposal was more limited. It would not be federal, but intergovernmental, and it would only include manufactured and industrial goods. It would, however, be geographically bigger than the Six’s community, including all other members of the OEEC. 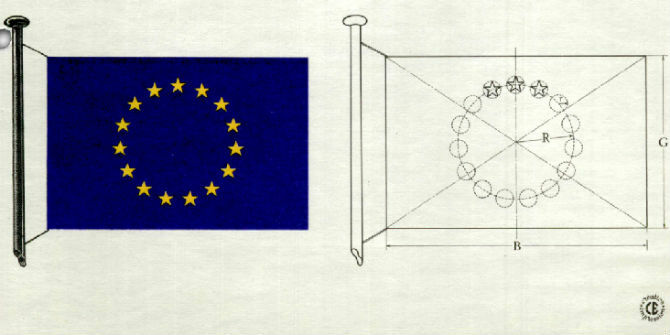 As early as the 1950s, the British were not happy with the design of Europe. We had always been inclined to say rather loosely that we did not mind other European Powers federating if they wished, but in fact if they did so and really became strong it might be very embarrassing for us. Europe would be handed over to the Germans, a state of affairs which we had fought two wars to prevent. For a nation of shopkeepers, especially ones with preferential deals with Commonwealth partners, the prospect of a European Community surrounded by a high tariff wall, discriminating against non-member states, was entirely contrary to the one world, free trade system which was the philosophy of British economic policy. Quite simply, the British government also saw Britain’s priorities as entirely different to those of the Six. In the mid-1950s, Britain’s trade was still predominantly extra-European. Take 1955 as an example. Then, 47.8% of Britain’s total trade was with the countries of the Commonwealth, 24.6% was with North America and the rest of the world, and 27.2% was with Western Europe (13.0% of which was with the Six EEC powers). This trade profile was one element of the differences in economic priorities between Britain and the Six. The other was Britain’s financial policies which revolved around the maintenance of sterling as an international reserve currency. The whole basis of Britain’s post-war recovery was freer trade and payments and sterling-dollar convertibility to ensure Britain’s varied global trade profile and the sustained significance of the Bank of England and the City in global markets. While Britain’s international standing has changed since the 1950s, the preference for global trade and the ongoing priority placed on the Bank of England remain elements of the current Britain and Europe debate. That does not mean the British were opposed to the idea of European unity in the 1950s, or since, but that they had difficulties with the form of European unity envisaged by the Six. Back then, as now, finding compromise was difficult. In the mid-1950s, it was difficult at home because the Cabinet was divided on the issue between ministers who saw the necessity of adjusting to Europe and those who had powerful agricultural and imperial lobbies who saw no reason to. It was also difficult at home because the government had not prepared parliamentary or public opinion on the issue of European unity and why the British might possibly need to make sacrifices in negotiations to achieve access to European markets. It was difficult in relations with the Six once negotiations began with them in 1957 to consider a possible FTA around the core of the EEC, mainly because the technical issues were complex and sensitive and because new dynamics were developing on the continent, principally the emerging acquis communautaire, the Franco-German relationship, and the dominance of France in Community politics and in determining Britain’s fate. Little of that has changed. And finally, it was difficult overseas, where Britain found its expressed interest in reaching some new economic arrangement with the EEC caused Commonwealth consternation at the prospect of Britain detaching itself from the world to Europe. In essence, the evolution of the EEC in the 1950s presented Britain with a problem far greater than negotiations over manufactured goods: it forced Britain to face the irreconcilabilities of its post-war development, and to make a choice about its future. Once the Six began to succeed, the British recognised that they had to reach a compromise with the emergent EEC for economic and political reasons, not least to lose power in European politics. Unless a British government could reach a compromise on its own terms – having the best of both worlds inside and outside of Europe – it would face two unpalatable options: isolationism from Europe, or reconsideration of the entire trajectory of Britain’s economic and foreign policies to put a revolutionary proposition to parliament and people: membership of a federal European organisation. As Prime Minister when the FTA negotiations suffered a unilateral French veto in 1958, Harold Macmillan could see the crux of this problem. That is why he described the failure of the FTA negotiations as ‘a tragic decision and the crowning folly of the twentieth century’. This overstatement is explained not just by Macmillan’s recourse to melodrama. It reflected his desperation. Britain’s reaction to the creation of the EEC had been largely to sustain the status quo. What it learned in the process was that the quo was no longer status. The success of the Six forced the British to confront that fact before they wanted or were ready to do so. The French bureaucrat and Father of Europe, Jean Monnet, once said that he never understood why the British did not join at the start. The conclusion he reached, he said, was ‘that it must have been because it was the price of victory – the illusion that you could maintain what you had, without change’. The simple but painful fact for the British governments of the mid to late 1950s was that the British did not share the motive for, or the interest in, the type of unity created by the Six in the Treaties of Rome at a time when Britain could not afford to be outside of Europe. As a result, the British sought the best of both worlds because of their ambivalence about the EEC in design and practice, and the fact that the decision to associate with it was made reluctantly, without alternative. It was a policy which got them nowhere; the British ended up having the best of neither world. That is an important lesson from history and one George Osborne might reflect upon. In Berlin last year he said that his plan in the negotiations with the EU was for Britain to ‘get the best of both worlds’. This post, which was first published by the Queen Mary University of London Mile End Institute, represents the views of the author and not those of the BrexitVote blog, nor the LSE. James Ellison is Reader in International History at Queen Mary University of London.